OK, now this is really only the first of many steps of a project which will for sure take more than my other ones. Nowadays a robot cleaner is no big news, many have them already, and a lot of companies try to build them and do a better job than the competition. They are getting also cheaper and cheaper, and are affordable enough to try. But the biggest problems still persist. The movement algorithms are still pretty basic, the robot cleaner has no clue about the layout of the room, where he already was, and what it still needs to clean. Also more complex places like table and chairs (every time in another position) are still handled more or less random, and not precise enough due to the size of the robot cleaner. 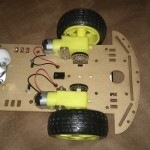 Start off with a simple robot, which connects via WiFi to the router or PC. Build at least two more robots. 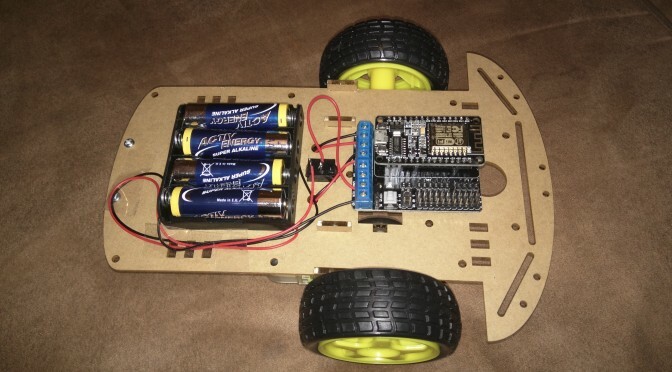 Starting with the first part, I decided to go with a simple DIY package, the NodeMCU Lua ESP8266MOD car which consists of the NodeMCU dev board, the ESP8266 wi-fi module to connect to other devices as access point or directly to the router. 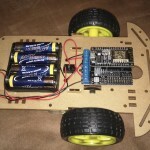 Also a motor driver, wheels and motors are available, so the start was simple. For now the car is in AP mode, it lets a smartphone connect to it and send commands from an app. 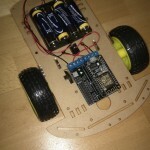 Next I will connect the car to the router and try to control it from the PC via the router.